Ever since introducing U&I sessions which are intimate couple sessions not only for engaged couples but for all who are in love. Thus far, I have had the opportunity of doing U&I sessions for couples celebrating their 1st, 20th & even 30th Wedding anniversary. Most recently, Lawrence & Charissa who decided that instead playing gatecrash games, decided to take the time to do a U&I session on their Wedding day. Often times, wedding days can be hectic with its back to back events and celebrations. 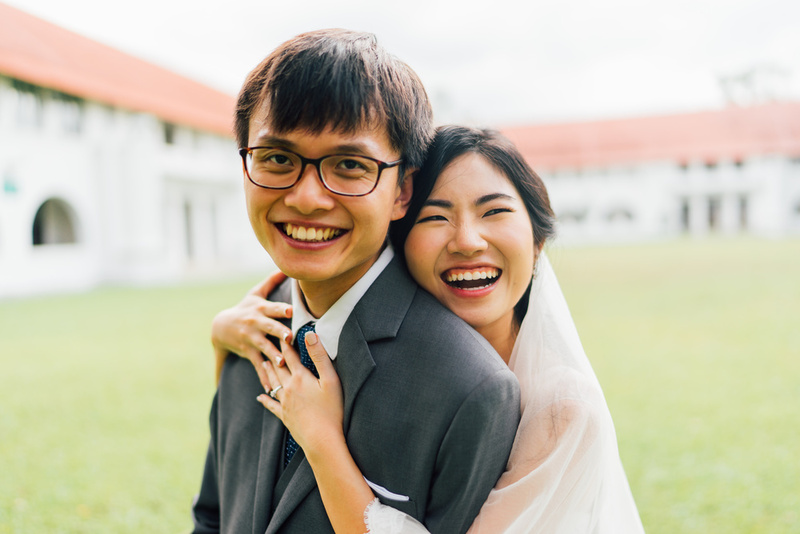 For Lawrence & Charissa, they decided to take a hour after their Holy Matrimony in Church to take a drive out to the NUS Law campus for simple and intimate couple portrait session. Having visited the law campus only many years ago, I was pleasantly surprise to see realise that it turned out to be a very charming place indeed. With rows of arches and beautiful greenery, it is indeed a very beautiful place for portraits.